50 shades of REY – which energy giant just farmed into the Canning Basin? There’s been lots of movement in the Canning Basin since we revealed Rey Resources (ASX: REY) as the ‘mystery third man’ on the Fitzroy Blocks – and now the word is well and truly being passed around . 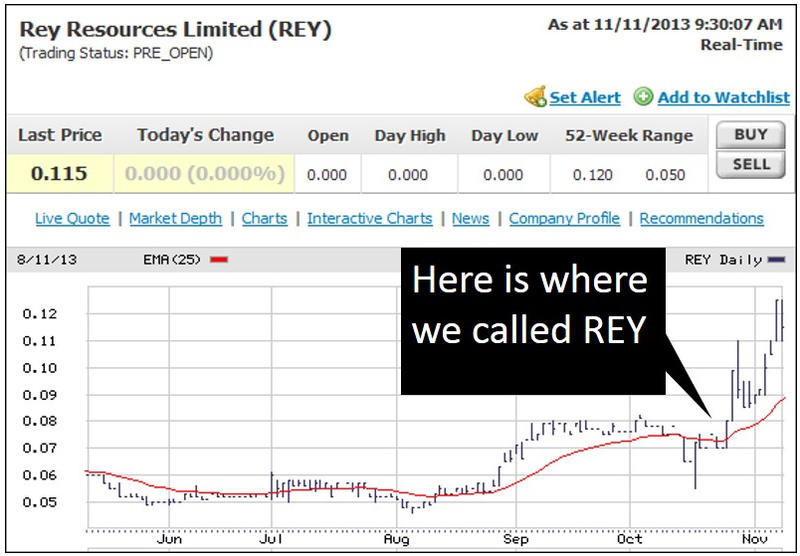 Our original report backed REY as a long term investment and since we unveiled the company’s cunning plan in the Canning their share prices has risen as high as 75%! The past performance of this product is not and should not be taken as an indication of future performance. Caution should be exercised in assessing past performance. This product, like all other financial products, is subject to market forces and unpredictable events that may adversely affect future performance. 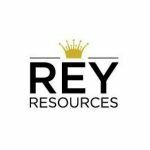 At The Next Oil Rush we have identified REY as a long term, high potential investment and a steady stream of recent developments have reinforced our star October portfolio addition. The Canning Basin is where you’ll find the Ungani oilfield – which is soon to be producing 1,000 barrels of oil per day (BOPD) and is predicted to produce 5,000 (BOPD) as early as 2014. The blocks where the Ungani discovery was made is owned jointly by two big players – Buru (ASX: BRU) and Mitsubishi (TSE:8058). BRU is a $445 million oil and gas explorer and producer, meanwhile Mitsubishi is quite simply THE largest trading company in Japan. But two neighbouring areas – known as the Fitzroy Blocks – that cover the majority of the Ungani trend – are split between Buru, Mitsubishi and our $70 million market cap junior explorer REY . Somehow, REY managed to sneak into the Ungani trend and gain 25% of the Fitzroy Blocks from the big boys. 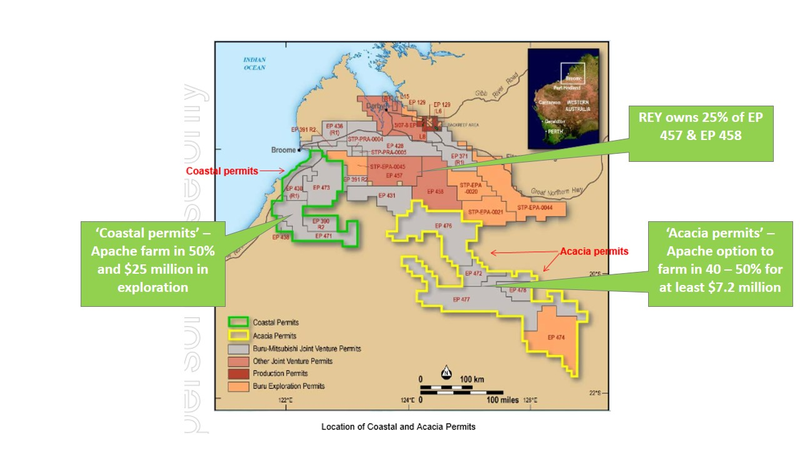 REY’s 25% interest in two of the Fitzroy Blocks was something we dubbed “the jam in the doughnut” because any discovery in the surrounding areas should impact positively on REY’s share price. REY’s business plan is simple. Get access to energy production – if they don’t get taken over first – by sitting back, riding its interest in the Fitzroy Blocks and let the others do all the heavy lifting. And it’s working. A big US player has entered the game, further sweetening the lucrative donut shaped blocks that surround REY, and Buru is moving fast, exploring and developing this patch of potential riches in Western Australia’s North-West. Why the excitement about REY? 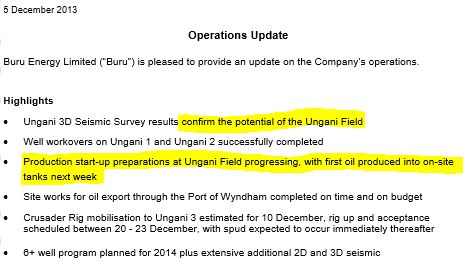 Buru has just completed 3D seismic surveys on its Ungani trend oil discovery confirming the potential of the field. Well workovers on Ungani 1 and Ungani 2 are complete and production start-up preparations are underway. Buru says everything is on time and on budget at the Port of Wyndham for the export of oil and we expect to see the first Ungani oil pumped into on-site tanks very soon. All this activity from BRU is great news for REY, as it all directly relates to the Ungani oil field, where REY have a 25% interest in the key Fitzroy Blocks. Of even more interest to REY is the work BRU have completed on the Fitzroy Blocks – known officially as EP 457 & EP 458 – of which REY have a 25% interest. BRU just completed a 2D geophysical survey of 234 line kms over EP 457. Data quality is reported to be good and a regional airborne gravity survey of the area including the Fitzroy Blocks is set to be completed by the end of the year. 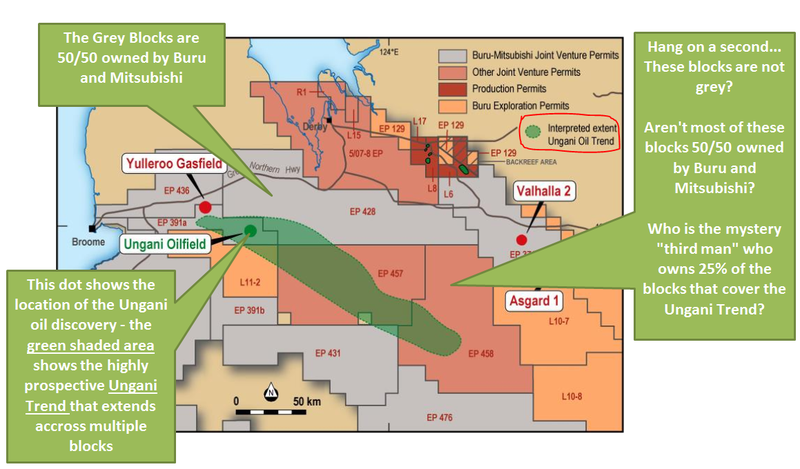 When all that data comes in, the JV will select targets areas for drilling, slated for Q2 in 2014. EP 458 will go under the microscope in 2014, with a 2D seismic survey scheduled. With all this exploration activity, BRU are clearly very interested in the Ungani trend, and are now well funded to do so. How does BRU find the time and money to concentrate on the Ungani trend? Enter Apache, the US energy giant renowned for its ability to find and exploit hard to reach deposits. The donut has just become sweeter around REY, as Apache recently struck an agreement with BRU and Mitsubishi to farm into a number of the Joint Venture’s exploration permits in the Canning Basin. This would earn it a 50% interest in return for funding a $25 million exploration program taking place over 2014. The Fitzroy Blocks (split between BRU, Mitsubishi and REY) also overlap the Goldwyer and Laurel trends. These areas contain unconventional oil and natural gas – the very things driving America’s energy independence revolution. Hence Apache’s interest. This is good news for REY as it relieves BRU of much of its financing commitment in the shale areas of its holdings – so it can concentrate on the Ungani oil field and the Laurel gas province – two areas REY has a nice share of and will want to see quick results in. These developments in the Canning Basin are attracting lots of attention, and not just from investors. BHP as a natural gas producer? BHP Billiton’s boss Andrew Mackenzie told the crowd at the company’s November AGM in Perth that natural gas has the potential to overtake iron ore as the company’s big earner – a prediction that has the energy industry buzzing, particularly after BHP recently won approval for the remote offshore Scarborough gas project in WA’s North West. In September, the head of BHP’s conventional gas business Steve Pastor said the company was eyeing the Canning Basin and wants to chat with WA’s Premier Colin Barnett about how to get involved. That throwaway line is now looking a bit more serious. 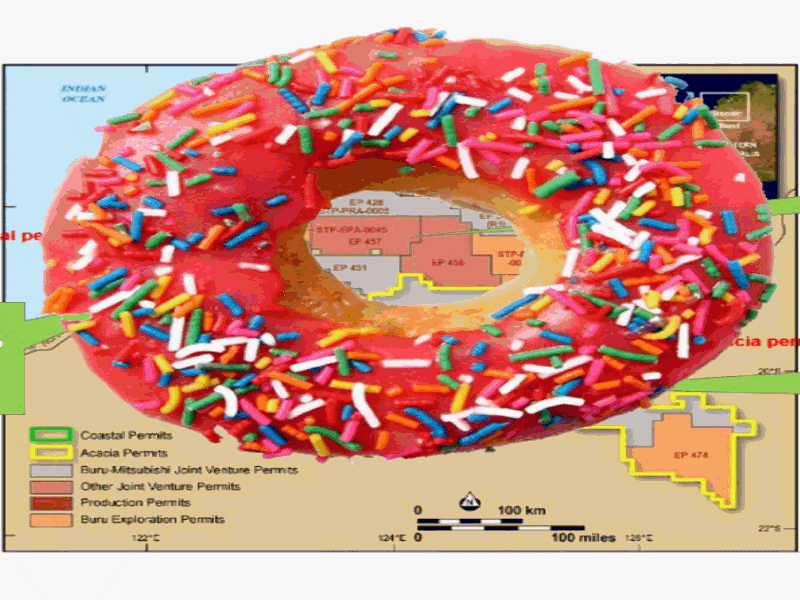 Here at The Next Oil Rush we think Rey Resources is the jam in the Canning Basin doughnut and from what we can see that it’s only getting sweeter. BRU, Mitsubishi and Apache are doing the heavy lifting, and BHP has flagged its interest. It looks like REY’s cunning Canning plan is coming together nicely.